Unless other written agreements exist, the terms and conditions of delivery set down herein shall apply to all offers and orders given or received by SEMIKRON. Unless previously arranged otherwise, these general terms and conditions of delivery shall become the subject matter of the contract upon the conclusion of a contract. The general terms and conditions of business of contracting parties shall not apply, even if the contracting parties expressly request such in their orders. SEMIKRON’s acceptance of an order does not constitute the validity of other terms and conditions. SEMIKRON's range of goods is exclusively being offered to persons and partnerships acting in their commercial or independent professional function when concluding the legal transaction and to legal entities under public law and special funds under public law. Upon placing an order, the buyer makes a binding declaration not to be acting as a private customer. Product descriptions on SEMIKRON web pages are only presentations of goods without commitment. When clicking the order button, the buyer makes a binding offer of buying the goods he selected. SEMIKRON will then send an order confirmation to the buyer by e-mail, thus accepting the buyer's offer. In case of dual use products (products that have both civilian and military uses), a final acceptance of the order by SEMIKRON can be made dependent on an End-User Certificate, which the buyer has to submit free of charge, even after an order confirmation by SEMIKRON. In principle, no delivery dates have been agreed upon. Any specified delivery dates are only for information. If a specific delivery date has been agreed upon in individual cases, this shall only apply subject to a timely receipt of materials and a flawless functioning of the finished part during quality control inspection. In the event of the contracting party being in default of acceptance of delivery, SEMIKRON is entitled to demand compensation for any loss sustained. The risk of accidental perishing and of accidental deterioration shall be devolved on the contracting party from the occurrence of the default of acceptance. In case of force majeure, SEMIKRON shall be released from its obligation to deliver until the end of the force majeure situation. SEMIKRON shall inform the contracting party thereof immediately. The impossibility of a sufficient supply of raw materials and provision of means of transport, strikes and lock-outs are considered cases of force majeure. At the end of the force majeure situation, it shall be decided by mutual agreement whether a subsequent delivery is to be carried out for those deliveries which were not made during the force majeure situation. In the case of deliveries by instalment, SEMIKRON reserves the right to determine the order of delivery for the parts and the quantities of parts to be delivered. In order to fulfil its obligations, SEMIKRON shall be entitled to use the services of third parties. If SEMIKRON's delivery contains merchandise bought from third parties, SEMIKRON shall not be under the obligation to inspect this merchandise more closely than in the scope of the usual incoming goods inspections. Any fault of the manufacturer of the merchandise shall not be attributed to SEMIKRON. Any advertising assurances by third parties shall not constitute an agreement of a quality between SEMIKRON and the buyer. The place of performance for delivery is the headquarters of SEMIKRON. If, at the request of the buyer, the goods are to be dispatched to a place designated by the buyer, the risk of transportation, including that for deliveries for which carriage is paid, shall pass to the contracting party at the moment in which SEMIKRON hands over the goods to the forwarding agent, the carrier or the railway. SEMIKRON is entitled to take out transportation insurance on behalf of and at the expense of the contracting party covering the value of the goods being delivered. In individual cases, SEMIKRON reserves the right to make excess/short deliveries of up to 10 %; notwithstanding the excess/short delivery, the contractual obligations shall be considered duly fulfilled with regards to the order volume. SEMIKRON reserves the right to supply products which are technically equivalent to or better than those ordered and confirmed - at the same price-. The acceptance of these equivalent or higher-quality products is considered to be agreed. The products delivered or services performed are specified in the data books, catalogues, drawings or the likes. These do not represent guarantees for individual properties. Drawings/tables, measurement data or performance data are not binding, unless expressly agreed upon in writing. However, they do not represent a guarantee for specific properties, nor do any other notices containing technical data on SEMIKRON products. The prices stated in the relevant price lists shall be applicable. These are net manufacturing prices stated in EURO per unit or a multiple thereof. The prices are ex works and do not include carriage, packaging and VAT. VAT is shown and calculated separately. All previous price lists hereby become void. Prices for special models and/or for considerably higher order volumes are available upon request. Prices are subject to changes without notice at any time. SEMIKRON expressly reserves the right to adjust prices for 2019 deliveries. All payments must be received in full within 30 days from date of invoice. The place of performance for the contracting party’s obligation to pay is Nuremberg. Payment shall be considered to be on time when the amount due has been credited to the account designated by SEMIKRON with value date on or before the due date. The contracting party is in default of payment, without further reminder, if the payment has not been received within 30 days of the invoice date. From that moment, SEMIKRON will be entitled to charge default interests of 9 % above the respective base interest rate, to accelerate maturity on undue or deferred payments and to hold all further deliveries immediately. Furthermore, SEMIKRON will be entitled to charge a lump sum of 40 EURO. This does not affect the right to claim higher damage caused by default. If it becomes evident after the conclusion of the contract that SEMIKRON's entitlement to the purchasing price is jeopardized by the buyer's insufficient capacity (for example commencement of bankruptcy proceedings), SEMIKRON shall be entitled to refuse performance and - possibly after fixing a time limit - to rescind the contract (section 321 of the German Civil Code [BGB]). In case of contracts about the production of non-fungible goods (customized products), SEMIKRON can immediately declare its withdrawal; the legal regulations concerning the dispensability of a time limit shall remain unaffected by this. The contracting party is not entitled to set off SEMIKRON’s claims or assert any right of retention, particularly in the event of any notifications of defects, unless the contracting party’s claims are recognised by SEMIKRON or by a declaratory judgement. Claims made against SEMIKRON cannot be transferred without written consent from SEMIKRON. SEMIKRON shall provide that the products it supplies comply with the specifications given in the data sheets. SEMIKRON reserves the right to modify the specifications without giving the ordering party notice thereof. SEMIKRON does not guarantee that the products supplied are suitable for use in the customer’s designated applications, nor that they comply with the specifications of the customer application. The customer himself is thus responsible for the usability of the product supplied in his application. The defects liability period is one year beginning at the moment of passing of risk. In case of a defect, SEMIKRON shall be entitled to rework or replace defective goods at its own discretion. Minor deviations of the supplied goods from the quality agreed upon shall not constitute a defect. SEMIKRON shall retain ownership in the products sold until all claims - including future claims - arising from the business relation will have been fulfilled. In the case of bills and cheques, payment is not considered to be received until said bills and cheques have been honoured. Machining or processing of the products is considered to be carried out on behalf of SEMIKRON. In the event of an intermixture or combination of goods belonging to a third party, SEMIKRON shall acquire a co-ownership share proportionate to the ratio of SEMIKRON products to the third-party objects brought in by the contracting party at the moment of intermixture or combination. In case the contracting party acquires sole ownership of the new object, it already grants a co-ownership share of the said goods proportionate to the ratio of the invoice value of the reserved property to the value of the new goods. The contracting party is entitled, subject to revocation, to resell, but not to pledge or to assign by way of security, the goods which are owned or co-owned by SEMIKRON within the scope of proper business activity. 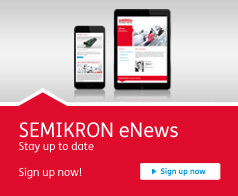 If the contracting party resells SEMIKRON products or his own goods containing SEMIKRON products without receiving the full purchase price in advance or concurrent with the delivery of the object of purchase, he is obliged to conclude an agreement with his customer about retention of ownership in accordance with these terms and conditions. The contracting party already assigns to SEMIKRON all claims it may have from the resale as well as any rights accrued to him from the agreement on retention of ownership made by him. At SEMIKRON’s request, the contracting party is obliged to inform his contracting party of the assignment and furnish SEMIKRON with the information and documents it requires to assert its rights against the purchaser. In the event of delayed payment, other material breaches of contract or in the event of substantial deterioration of the contracting party’s financial circumstances, the contracting party is obliged, at SEMIKRON’s request, to surrender to SEMIKRON, immediately and at its own expense, all property co-owned by SEMIKRON. If the value of the securities arising out of the reservation of title agreement exceeds SEMIKRON’s claims from its business relations with the contracting party by a total of more than 20 %, SEMIKRON shall, at the request of the contracting party, declare the release of securities as it sees fit. Any contractual and non-contractual damages the buyer claims shall be subject to a limitation period of one year after the delivery of the goods, unless the regular legal statute of limitation (pursuant to sections 195, 199 of the German Civil Code [BGB]) would lead to a shorter period in the specific case. The mandatory limitation periods in the German Product Liability Act shall remain unaffected. The buyer is obliged to carefully observe the product instructions issued by SEMIKRON and to forward them to any users and his customers with a special note. Should the buyer not fulfil this duty causing third parties’ product and/or producer liability claims against SEMIKRON, the buyer shall indemnify and hold harmless SEMIKRON from these claims; if circumstances for which SEMIKRON was responsible have become co-causal for the harm or damage incurred, SEMIKRON shall be indemnified and held harmless proportionally. The buyer is obliged to observe the delivered products and their practical use. This also applies to resale. The obligation to observe the products shall especially apply to harmful properties of the product yet unknown of or to uses and consequences of use creating a dangerous situation. SEMIKRON must be immediately informed about any knowledge gained. The conclusion of a contract shall by no means constitute SEMIKRON’s renunciation of any copyrights, trademark, patent or other intellectual property rights it may have. Without prior consent otherwise provided in writing, the conclusion of the contract does not constitute the awarding of a licence of any intellectual property rights, including but not limited to the Trademark "SEMIKRON" and other SEMIKRON trademarks registered in any jurisdiction or any patent (except for the sole purpose of use the products purchased from SEMIKRON). Any right of use hereby conferred, under the reservation of different legal stipulations, shall be restricted to the agreed destination country for which the contract was intended. The place of jurisdiction for all disputes, including action arising out of a bill of exchange or cheque, is Nuremberg, Germany. The statutes of the Law of the Federal Republic of Germany, with the exception of the conflict of laws provisions, shall apply exclusively to all disputes between the contracting parties, unless otherwise agreed by the parties in writing. The Vienna UN Convention on Contracts for the International Sale of Goods of 11 April 1980 (CISG) shall not apply. Verbal subsidiary agreements are not effective unless confirmed by the parties in writing. In the event of individual provisions of these terms and conditions ceasing to be effective, in whole or in part, the validity of the remaining terms and conditions shall not be affected. The parties undertake to replace the ineffective provision or provision requiring supplementation or interpretation by a new provision which has the same effect as the original provision.